The D-Snap components system from DIRAK enables panel builders and installers to save time and money with click-together panels. Now this robust technology is available from us here at FDB Panel Fittings in a stainless steel format developed for applications that need to be permanently fixed on one side and easily removable on the other. The first component offering is the DST fastener to suit 30×10 cutout so bringing DST assembly to cabinets for external environments. 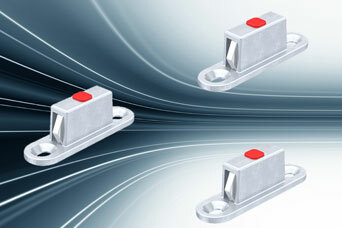 The fastener has a clamping range of 0.8-3mm with a pull-out force of up to 50N. Suitable for panels, hollow sections or complete housings, the fastener can be installed in a recessed position for flush mounting. Share the post "New D-Snap Technology in stainless steel from DIRAK"